While some police officers would like to be able to use GPS trackers on suspects without a warrant, being on the receiving end of surveillance is taken quite differently. Boston cops are concerned about the pending use of trackers on their cars. The devices would monitor the movement of cruisers in real time, and their adoption comes following negotiations between the city and the patrol officers union, reports The Boston Globe. The installation needs the approval of the city council, but is likely to happen. GPS tracking would give dispatchers more flexibility in managing units, reducing response times, which is especially important in developing situations. It will also help enforcing rules on patrol zones the patrolmen operate under. But some officers are concerned with the new level of scrutiny they are going to face. The situation seems quite ironic, considering that police are ready to embrace surveillance technology when it comes to tracking suspects. US courts however frown when officers cut them out of the loop and resort to GPS tracking without a warrant. Tracking aware public servants is different from tracking unaware civilians, but it raises a range of issues too, says the ACLU of Massachusetts. 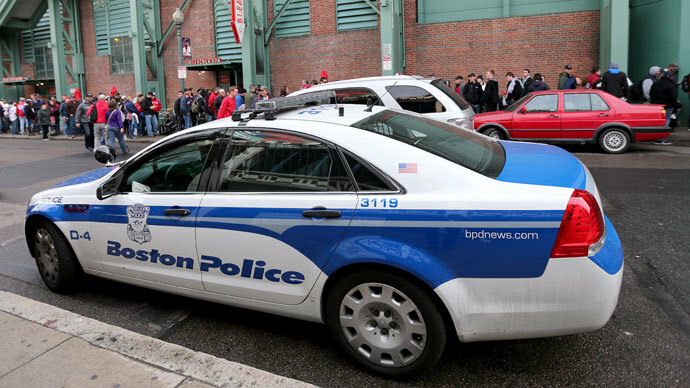 "Concerned officers at the Boston Police Department are exactly right when they warn about the sensitivity of this information," the civil rights group said. "As these anonymous officers and their union official argue, tracking someone’s location as they go about their day-to-day life is incredibly invasive." Car trackers are not the only measure that would put Boston police under more scrutiny. The new contract agreement also brings permanent records from cameras monitoring district stations. Those are meant to help fight allegations of abuse of suspects in police custody. Neil Richards, a law professor at Washington University in St. Louis, said the scrutiny may produce some of the intended benefits. "We change our behavior to reflect what won’t get us into trouble, whether that’s being gentler with suspects, not rioting, or not stealing from the till," he told Ars Technica. "We also know that surveillance inclines citizens toward the mainstream, the ordinary, and the boring. The challenge for our digital society is to use surveillance to deter law-breaking and other seriously anti-social acts while not deterring individuality, political dissent, or [a] trip to Dunkin Donuts,” he added. Boston has equipped all city school buses with GPS trackers. This was one of the reasons why bus drivers went on a one-day impromptu strike last month. It was indirectly caused by the US federal government shutdown, which prevented the National Labor Relations Board from reviewing complaints from the drivers, a situation that angered them enough to stop work. RW - Hahaha... they are bitching because they can't just sit around eating donuts while crimes are in progress. Sorry boyz but you are public servants and have no rights while on the job. In this case the technology of surveillance is being used properly - to keep the cops honest, or at least somewhat in check.